What flavour of cake would you like? What colour would you like your icing on the top tier? What colour would you like your icing on the bottom tier? This Cherry Blossom Wedding Cake is a perfect cake for any couple planning to marry in spring. 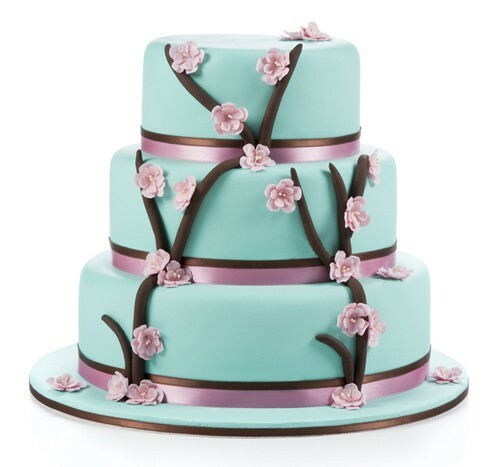 Cherry Blossom is the symbol of spring and our team have re-created that feeling in cake form with this beautiful Cherry Blossom Wedding Cake! 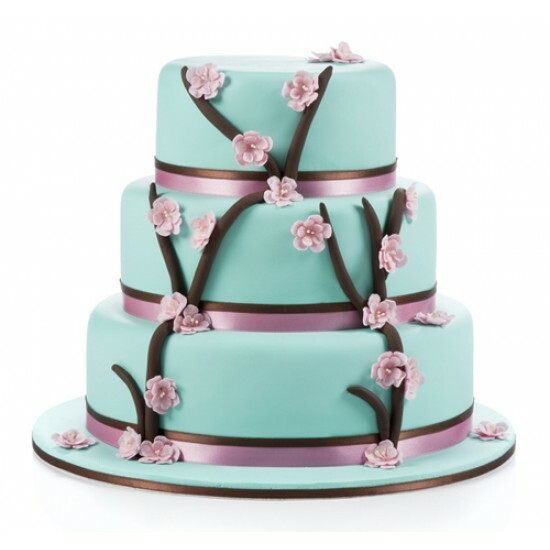 This three tiered cake has been hand decorated with branches full of cherry blossom over a lovely turquoise base!